6X Innovation is a design and innovation consultancy with a clear emphasis in providing innovative solutions to new or existing products and systems. Zenos Cars are creating an automotive brand that delivers thrilling lightweight and affordable sports car experiences for enthusiasts. Ansible Motion designs and manufactures motion platforms for high end motorsport and road car driving simulators and complete driving simulator installations. Beattie Passive uses Passivhaus methodology to run a complete build system which delivers new homes quickly and at a lower cost than traditional methods, and also offers huge energy and heat savings, delivering dramatically reduced cost of ownership. Connected Energy's British designed battery storage systems and energy optimisation expertise are rapidly changing the way industrial and commercial energy users can capitalise on load flexibility. Their mission is to catalyse smarter, sustainable approaches to energy use. Ecolution Energy Services provide renewable energy and full property maintenance services to the commercial and housing sectors. We offer a 360° service from specialist renewable asset management to general property maintenance. Our dedicated team design, supply, install and provide maintenance for all your property’s needs. Our energy advisors are here to ensure system optimisation and maximum savings for each of our clients. Enlight are an award winning advanced lighting company. Their goal is innovation; to break new ground in lighting. If it can’t be done – they can do it. Their engineering and software development for the lighting industry has been recognised and rewarded worldwide. Equipmake provides ‘state of the art’ control systems for niche and specialist markets, developing novel and cost effective solutions in the Motor Racing and Power Control are in high efficiency systems that are also highly compact. Extremis Technology is a company with one true purpose at its core – engineering solutions for a displaced world. We’re dedicated to finding new ways to get those affected by disaster back into a secure shelter as quickly as possible. Our team of engineers and entrepreneurs develop a range of shelters for disaster relief and economic development purposes, working with world-leading researchers and organisations to deliver solutions that are both practical and flexible. Genite Corporation has years of experience developing and procuring products in China and across Asia. 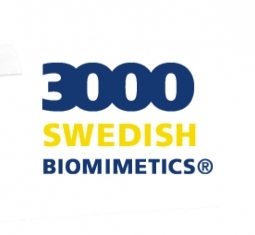 This results in quickly understanding requirements, identifying the most cost-effective solutions and delivering results in a timely and efficient manner. GKN is a global engineering group. Every day we drive the wheels of hundreds of millions of cars, we help thousands of aircraft to fly, we deliver the power to move earth and harvest crops, and we make essential components for industries that touch lives across the globe. The largest machine tool manufacturer in the western world, Haas Automation designs and builds a full range of metal-cutting machine tools including CNC machining centres, lathes and rotary tables. Haas machine tools and rotary products are built to deliver higher accuracy, repeat-ability and durability than any other machine tools on the market. Inductive Logic is developing smaller, more powerful induction powered products and appliances, soon bringing to market an innovative and high performance new inductive heating range. JDGray Associates is a mechanical and electrical building services design consultancy, offering guidance and advice for the built environment. Kagend is a dynamic and diversified global company with two main divisions that serve the chemical and energy sectors of the economy. Knowles are world leaders in the design and manufacture of capacitors for all purposes. Design - Using up to date 3D software, designs can be rapidly generated. Wide ranging experience in design of electro-mechanical devices, fabrication, hydraulics, consumer products, special tools, automation and conceptual design. Simulation - Multi-physics analysis, stress analysis, FEA. Rapid Prototyping - 3D Printing, Rapid casting of Aluminium, Prototype plastic injection moulding, Soft tooled parts. Manufacture - Machining and assembly. Milling, Turning, Fabricating, Grinding, Honing, EDM, Electro Plating, Surface protection. Supply Chain - Supplier Identification, Audit and Selection. New Product Development - Helping innovators and businesses bring new products to market, using a number of development phases. These include idea generation, screening, testing the market, prototyping, validation and manufacture. Lucas Development is innovative engineering company adopting a philosophy of efficient, elegant, cost effective & class leading solutions. Based in rural Norfolk we draw upon decades of engineering experience ranging from design, analysis, manufacturing test & development. Marine Power Electronics specialist in the super yacht industry providing a range of Shore Power Converters, Propulsion Converters and Clean Power Solutions from 12kVA to 2MVA. MSF Technologies is an advanced clean-tech company delivering innovative, scaleable and smart energy solutions to a range of industries worldwide. Producing power generation and storage solutions through applying in-house expertise in advanced magnetics and power electronics, our patented technology: Split-Pi controllers/inverters and Eta-Motors/generators are powering the next wave in energy efficiency. Norfolk Calibration Services are UKAS accredited and ISO9001 certified provide calibration and testing services to businesses, organisations and Local Authorities throughout Europe. In January 2015 we also achieved accreditation for calibration of OIML Class E1 weights, one of only three laboratories in the UK. Norfolk Computer Services are specialists in providing Computer and General IT Support Services to the small business sector. The company has was formed to deliver expertise and low cost IT services to the regions expanding and successful small businesses. Optima offers everything to make dosing, filling and packaging easier, safer and more efficient, building machines to suit each requirement. Pangean Engineering are Engineering Consultancy specialising in the automotive sector for complex electronics systems, control systems and high performance & low carbon powertrain systems. PerformancePlus Associates offer a full range of consultancy and training services covering coaching, mentoring, ISO standards, customer relationship management, human resources, health & safety, print & website design, marketing, branding and telemarketing – with guidance to funding sources to help pay for it all. Project Facilitators & Services Company. Providing Strategic Consultancy Services and working as Intermediaries / Facilitators for products and services aimed for the Hydrocarbons and Infrastructures Projects. Proeon Systems provides engineering design consultancy and software development for a number of complex gas turbine control applications and design, manufacture support for projects within the energy, oil & gas and automation sectors. 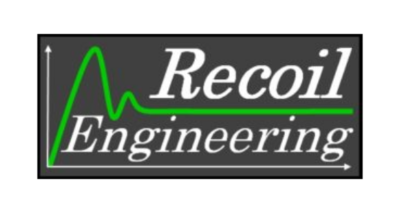 Recoil Engineering is a Design Consultancy specialising in bespoke solutions and product design. We have a very wide range of experience and expertise in many engineering sectors that allows us to take an idea from concept all the way to a final solution or a market product. Safinah has a worldwide reputation for creating and delivering innovative and effective solutions to all aspects of coating issues, reducing client costs, improving quality and delivering solutions. 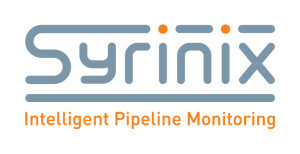 Syrinix, the award winning provider of intelligent pipeline monitoring solutions that enable utilities to do more with less and actively manage their networks. Tech Mahindra represents the connected world, offering Consulting, Digital Transformation, Integrated Engineering, Business Services and Solutions, enabling Enterprises, Associates and the Society to rise. At Trident we have seen the commoditisation of certain elements within the window and door industry. This has lead to the importance of high performing and sustainable windows and doors been eclipsed by the buy one get one free culture propagated by the lower end of the market. Our mission is to partner with the right manufacturers, and associated trades with the hope that in some small way to reverse this and build quality back in to the new build, eco home, conservation and renovation / refurbishment market. Vero Water’s® philosophy is simple: To help our customers provide finest Still and Sparkling water…easily. Becoming a Vero Water® establishment allows you to offer great tasting water, be environmentally responsible, and increase your profits significantly vs. traditional bottled water brands. Wellton Energy is an experienced outsourced business development specialist, providing infrastructure and lowering the cost of sales for SMEs. With less focus on skills development, enterprises may end up as unsuccessful business endeavors. We at WHIM as engineering and resource experts, understand how hard it can be to build up the knowledge, team and access to all the critical resources to meet requirements of technically savvy customers. We work with these businesses to solidify adoption of their process and provide the discipline that will guarantee long-term success. We provide temporary project design, engineering and management resources to meet the needs for any contract length.